The Flat Hat Editorial Board would like to join the chorus of voices on campus, in Virginia and across the United States calling for Virginia Gov. Ralph Northam to resign. When the news first surfaced Friday afternoon that Northam’s medical school yearbook page included a picture of two people dressed in blackface and Ku Klux Klan hoods and robes, Northam initially admitted guilt and apologized. The next day, in a baffling press conference, he said he would not resign despite the calls for him to do so and denied that he was in the photo yet simultaneously admitted to dressing in blackface on a different occasion in the 1980s. This is unacceptable for anyone, let alone someone in such an important position. 2019 marks 400 years since the first enslaved people from Africa arrived in Virginia. Slave labor was legal in Virginia for 244 of those years, until 1863. Jim Crow laws and other racist policies continued to disadvantage black people in Virginia for decades. A Klan hood is an unequivocal symbol of racist violence, and blackface minstrelsy has been used to mock, belittle and play on harmful stereotypes of black Americans since its inception. The legacy of this institutionalized racism persists today, and Virginia needs a governor who will work to dismantle oppression. In light of the discovery of this picture, it is evident that Northam cannot and will not be able to do that important work. College President Katherine Rowe’s choice to pull Northam from the upcoming Charter Day ceremonies was the right thing to do. While the College of William and Mary has a long way to go when it comes to racial reconciliation, we commend the administration’s decision and Rowe’s recognition and condemnation of Northam’s racist behavior. Following last year’s commemoration of 50 years of African-American students in residence and the Board of Visitors’ statement in April apologizing for the College’s role in slavery and segregation, welcoming Northam to campus would have been an insult to the work campus activists and researchers have done to promote reconciliation and racial equity. Many students at the College campaigned and voted for Northam in 2017. In Williamsburg, 70 percent of voters cast their ballot for Northam, hoping he would stay true to a commitment to racial justice, especially considering the threat of Ed Gillespie’s racist campaign rhetoric, which included support for Confederate monuments and opposition to Colin Kaepernick’s police brutality protests. Whoever succeeds Northam as governor should uphold the progressive values that Virginians voted for in 2017. Recently, an allegation of sexual assault has surfaced against Lt. Gov. Justin Fairfax, who would become interim governor should Northam resign. False allegations of sexual assault are incredibly rare, and we hope this matter will be investigated properly. If this troubling allegation is true, we could not trust Fairfax to fight for survivors of sexual assault, and we could not in good faith endorse him as governor. 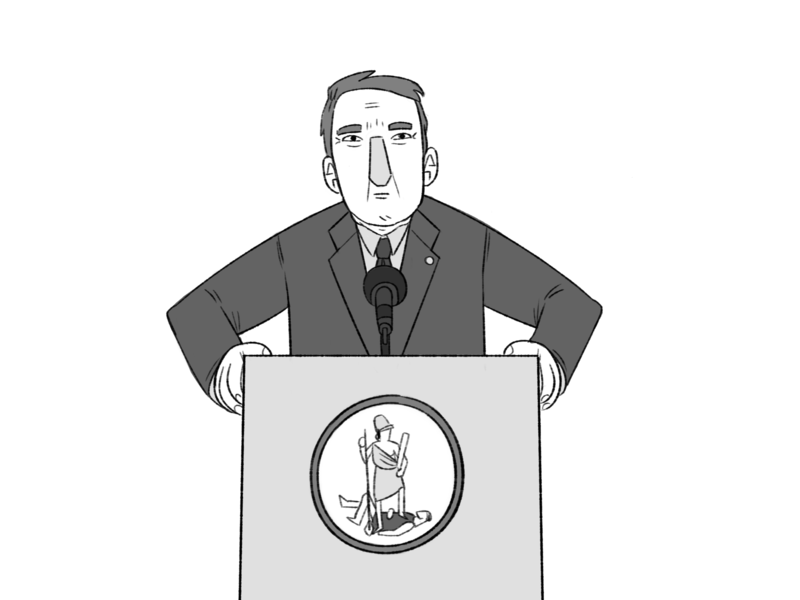 We hope that Virginia can soon have a leader in which we can place our trust. We cannot definitively say who that leader ought to be, but it should not be Northam. If the allegation against Fairfax is true, it should not be him either. If Northam has any modicum of respect for the Virginians who voted him into office and trusted him to advance progressive values in the Commonwealth, he will step down as soon as possible. Only then can the pain the picture has caused begin to be dealt with. The staff editorial represents the opinion of The Flat Hat. The editorial board consists of Brendan Doyle, Kiana Espinoza, Leonor Grave and Julia Stumbaugh. The Flat Hat welcomes submissions to the Opinions section. Letters, columns, graphics, and cartoons reflect the view of the author only. Email submissions to fhopinions@gmail.com.